I've just got to have some steak!" I surprised myself when I said this out loud while sweeping my back porch. But my stomach was growling and I couldn't think of anything else but a charcoal grilled steak to fix that growing ache in my belly. So I went inside and told my wife, "I've got to have some steak!" After a pause, I continued, "I don't care if we go to Outback, Beehive, or even if I grill it myself, but I've got to have some steak." Donna laughed and said, "And you know why you're wanting steak?" "You're smelling our neighbors grilling outside, and now you want what they're cooking!" BINGO! She was right. I opened the back door, and our yard was filled with the aroma and smoke of someone nearby grilling steak. That aroma had awakened something deep inside me that triggered my "I've got to have some steak!" response. Two significant events in Jesus' preparation of the apostles occurred around the smell of a charcoal fire. The term "charcoal fire" (in Greek, anthrakia) occurs in the New Testament in two places, both in the gospel of John. The first involves Peter's three denials of the Lord (John 18:15-27; esp. John 18:18 ESV). The second involves Jesus' restoration of Peter to ministry after a miraculous catch of fish (John 21:1-22; esp. John 21:9 ESV). At a charcoal fire, Peter had betrayed the Lord!At a charcoal fire, the Lord restored Peter! At the post-resurrection appearance of Jesus by the Sea of Galilee, Jesus does the important work of calling Peter back to ministry and then restoring Peter to his leadership position among the apostles (John 21:1-22). Jesus does this in a situation that echoes Peter's original call to follow the Lord (Luke 5:1-11). Interestingly and importantly, Jesus does not let Peter off the hook. Jesus didn't look the other way and simply ignore Peter's sinful failures. Peter hadn't just denied the Lord that night, but he did so after claiming superiority to his fellow apostles. Peter had shown a desire to be first before he failed miserably at being faithful. Both sins would have sabotaged his leadership in the early church and among the apostles. When Jesus had originally warned Peter of his impending denials, it was in the context of Jesus washing his disciples' feet. At first, Peter had not wanted the Lord to wash his feet, even though the Lord washed the feet of the other disciples. Then after the Lord's rebuke, in typical Peter fashion, Peter wanted to be washed all over (John 13:1-11). Jesus then warned his apostles that one would betray him, and all the rest would abandon him. The Lord specifically warned Peter that he would deny him three times that very night. Still not recognizing his own vulnerability, Peter claimed that no matter what others did, he would remain faithful even if it mean dying for the Lord (John 13:21-38). Peter failed despite his brash promises. Peter failed despite claiming to love the Lord more than the others and being more faithful to the Lord than his fellow disciples. Peter's denial of the Lord was the complete failure of Peter to live up to his word and his brash promises. Peter's denial of the Lord was the complete failure of Peter to be loyal to the Lord he claimed to love. After the Lord's resurrection, Peter still had influence as a natural leader. "I'm going out to fish", Peter said to some of his apostle buddies. Despite Peter's failures and arrogance, the other apostles followed Peter into the boat and went fishing (John 21:1-3). Peter may still have been a brash natural leader, but Jesus didn't want a natural leader. The Lord wanted a restored spiritual leader. Jesus wanted Peter to be a leader with integrity and who knew his own vulnerabilities. Failure wasn't the issue. Every human leader will fail at some point. The issue for Jesus was that Peter had to own his failures. Peter needed to humble himself before the Lord and before those he let down with his arrogance and denials. Only then could the Lord raise Peter back from failure and restore him to leadership. Only after Peter could acknowledge his failure — an admission that had to come from his heart — would he be ready for leadership. In our experience with leaders who sin today, we often toss them into one ditch of destruction or the other. We either gloat over, gossip about or pour shame out on leaders who sin publicly. We're used to doing this because of the popularity of gossip magazines and TV shows about entertainers. So we jump in and do the same thing to those among us who fail in our Christian family. We perpetuate and spread the gangrenous poison of one sin through our own sin. Or on the other hand, we try to be nice and say we don't want to judge them too harshly; so we end up ignoring their sin. Sometimes this means allowing a leader to continue without ever repenting. Other times we quietly ostracize that person by simply ignoring them and putting them on the back shelf of irrelevance and disassociation. Either way, the leader — our Christian brother or sister — is not restored to life and ministry in the Lord. So let's look at a few principles Jesus demonstrated with Peter and see if we can learn to focus on being redemptive when those we love and those who lead are caught in sinful failure. So what does Jesus do with Peter to restore him? When they had finished eating, Jesus said to Simon Peter, "Simon son of John, do you love me more than these?" (John 21:15). Jesus said, "Feed my lambs." ... Jesus said, "Take care of my sheep." ... Jesus said, "Feed my sheep" (John 21:15-17). For me, there are two crucial elements I need to notice and then put into practice as one who claims to follow Jesus. While we all need help to overcome our sinful failures, thankfully the Lord is faithful to us even when we have not been faithful to him. Here's the first: People can fail miserably and be restored. The goal is not just to get them forgiven. The goal in dealing with those who have sinfully failed is not just to get them cleansed. The goal is to get the sinful brother or sister restored — restored to place, restored to acceptance, and restored to ministry. Restored means they are put back into the place they were before as someone healed. An example might be a great women's gymnast who broke her ankle. That ankle needed surgery to set and repair the damaged connective tissue and bones. It needed to be cleaned of debris and scar tissue caused by the damage. That ankle needed some form of casting to stabilize the damage. Then the ankle and surrounding muscles, tendons, and bones needed to be rehabbed to regain range of motion and strength. Then the gymnast needed to go through training to regain form. But the goal is to restore her to the team and return her to competition! This progression was the work Jesus demonstrated to us with Peter. In Peter's case, Jesus had to help Peter reach the point where he was genuinely convicted of his sin. Peter had to admit he was broken and that needed to be re-set, cleansed, stabilized, rehabbed, and restored. Those he had let down, those to whom he had claimed to be superior had to be part of the process so he could be restored to the team and restored to leadership and ministry. Here's the second crucial element: We can move past our own sinful failure and be restored to ministry. If you are like me, you find it easy not to face past failures. We don't smell redemption when we face our next "charcoal fire": we smell failure. 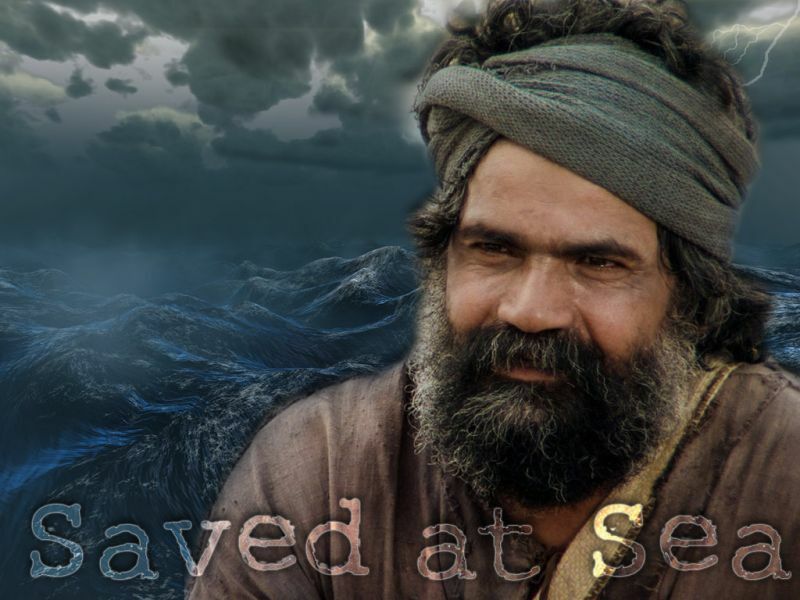 Jesus worked to re-route the smell of charcoal in Peter from failure to restoration, from sin to grace, and from unfaithfulness to called back to ministry. Who is the primary one who declared that Jesus is both Lord and Christ at Pentecost? It is Peter. Peter takes the lead in Jerusalem and the early church because the Lord changed the smell of his "charcoal fire" from denial to restoration. While we all need help to overcome our sinful failures, thankfully the Lord is faithful to us even when we have not been faithful to him. That is why we must band together and be the people of Jesus and move those who have sinfully failed to those who have been restored to faithful ministry. Anything less and we are not the people of the Lord! For your own admission of sinful failure, David's psalm of contrition, confession, and forgiveness is waiting for you to put your heart behind his words and receive the Father's grace. Click the link and read Psalm 51:1-17 and then share your struggle with a trusted brother or sister in Christ. The Lord Jesus longs to restore and heal us from our past and return us to life, health, and ministry! Special thanks to Free Bible Images and the Lumo Project for their graphics related to the ministry of Jesus! "A Charcoal Fire & the Smell of Redemption" by Phil Ware is licensed under a Creative Commons License. Heartlight encourages you to share this material with others in church bulletins, personal emails, and other non-commercial uses. Please see our Usage Guidelines for more information.